Get started with tennis lessons, search for your coach today! My Tennis Lessons is now offering tennis lessons in Manchester, NH. We guarantee you will find an instructor that is conveniently located and suits your skill level. Our instructors work with tennis players of all ages, because we recognize tennis as a lifelong sport. Whether you are a beginner or experienced tennis player, you will excel when working with one of our thoroughly screened tennis instructors in Manchester, NH. Choose from a number of tennis lesson packages offered in the Manchester, NH area, which include kids tennis, beginner tennis lessons, cardio tennis, group lessons and customizable private lessons! Search through Manchester, NH tennis teachers' profiles, which includes photos and videos, to learn more about their tennis coaching qualifications. I have never played tennis before. Do you offer tennis lessons for beginners? Of course we do! It is important to partake in lessons when you are just picking up tennis. We teach lessons to intermediate and advanced tennis players as well. No matter what your age or skill level, we will find the right coach for you and make improvements to your tennis game, guaranteed. Can I start with a trial lesson? When first signing up with coach, you won't be charged until after your first lesson. If you are not 100% satisfied after the first lesson, we will refund your entire lesson purchase for that coach and work with you to find a replacement. How do I find a coach that fits my tennis needs? Either on the home page, the header, or at the top of this page you can input a zip code, city, or town to view the available coaches in that area. 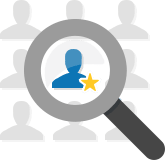 By clicking on a particular profile you can view a coaches' teaching qualifications, availability, as well as specific teaching locations to ensure that you are selecting the correct coach for your tennis lessons. After finding a coach that you feel comfortable booking lessons with, you can setup a payment plan through the "Schedule Online" button. You can also setup lessons over the phone with our customer service department at (866)-454-2747. We're around 9 AM - 6 PM to answer any questions and help you find the perfect coach. How do I get in contact with a coach after I have booked a lesson? Contact information will be sent to you via email after you have setup a payment plan. Your coach will be contacting you, via either email or phone, within 48 hours of your booking to introduce themself and confirm the first lesson. 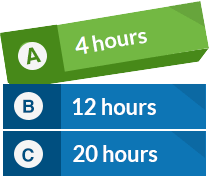 You will be able to contact your coach with questions regarding time change, location, or just to say you are excited about your lesson! Feel free to call our offices at (866)-454-2747 if have questions regarding your coach. I have a friend who wants to take lessons with me, is that OK? We offer Private, Semi-Private lessons (2 people), and Group lessons (3 or more). We do not have any set “group clinics” that you can join, but feel free to book lessons with as many people as you want. Each person you add to a lesson package purchase is only an additional $10 dollars. So taking a lesson with a friend will not only allow you, especially if you are a beginner, to find your comfort zone if you have a friend by your side, but you will also save on your hourly lesson rate. Lessons are typically 1 hour long. However your lesson package is flexible and the hours purchased can be used to schedule for a variety of lengths. After I schedule my lessons online, what do I need to bring with me to the tennis court? All you need to bring is a tennis racket, a bottle of water, tennis shoes, and a towel (if you sweat a lot). We provide all other necessities, such as tennis balls. What happens if I need to cancel or reschedule a lesson? Once you have signed up with us at MyTennisLessons, you can contact your coach to reschedule. To give our coaches enough time to reschedule, we request this to be done 24 hours in advance. Regarding more permanent changes such as a new location, time of day, or package plan, you can either email or call MyTennisLesson.com directly at 866-454-2747 and we will be more than happy to find a time and location that works best for you. If you are unable to take a lesson because of the weather we will reschedule the lesson at a time most convenient for you and your coach. Of course you will not be responsible to pay for any lesson missed due to the weather. How do I know my tennis coach is qualified? Our tennis lessons are taught by coaches who have been thoroughly screened by our hiring team. The same can’t be said for coaches not going through our system. 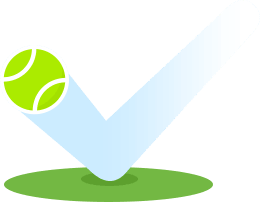 Not only have our tennis coaches been confirmed as qualified but they have also passed a criminal background check ensuring a quality lesson that is also safe. Amazing session with Mahdi. I fully recommand. He is a very good coach. He is very kind and I had a very good experience training with him he improved my technique for my backhand and also take care of the physical side. Where would you like to take tennis lessons?